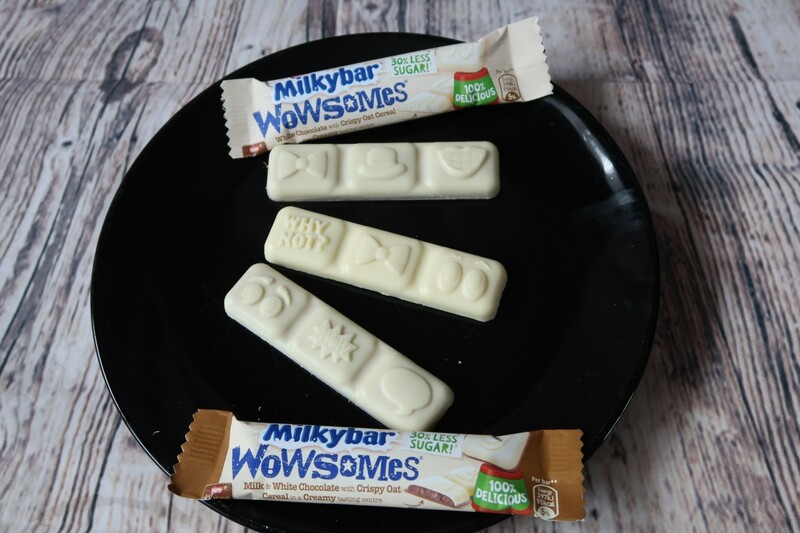 We have been trying out these awesome new chocolate bars Milkybar® Wowsomes® which have 30% less sugar than a similar chocolate bar. Impressive I thought as it still has the same great taste. We are always trying to make adjustments for a healthier lifestyle and with no artificial colours, preservatives, flavours or sweeteners, it really fits the bill. And with them being gluten free, they are a big hit with my husband too. I may have had to hide a few bars from him and the kids. They are soooo good. To promote the bar we were asked to take the “Why Not?” challenge. Well, I was actually. I love doing things with the kids, but sometimes you need that little push to act silly in front of the camera, so I thought Why Not? 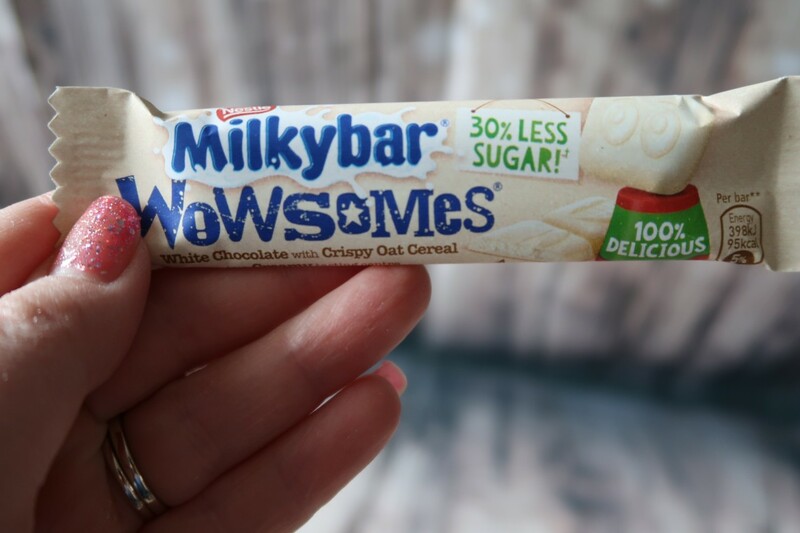 There are two different types of Milkybar® Wowsomes® one which is white chocolate with crispy oat cereal, which give it a nice texture. 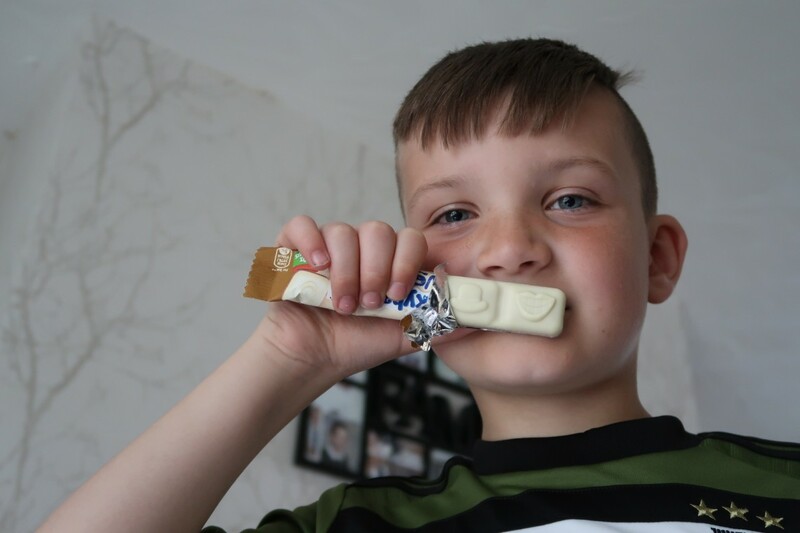 The other is the only Milkybar® to have both milk and white chocolate in one. It looks and tastes great. The bars themselves have cute little photos, really insisting they are fun. The “Why Not?” campaign is all about getting you out with your kids and do something different for the day. Why not have a trip to the beach or blow huge bubbles. We thought about what we’d like to do, something the kids have been asking for a while to do and I kept coming up with excuse after excuse. Something that doesn’t cost a lot of money, but brings excitement and fun to life. So I thought, Why Not? 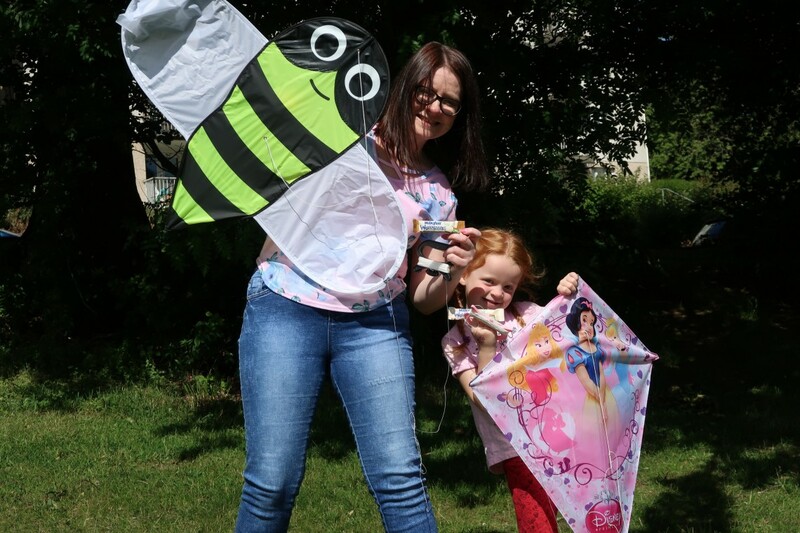 We decided on kite flying. 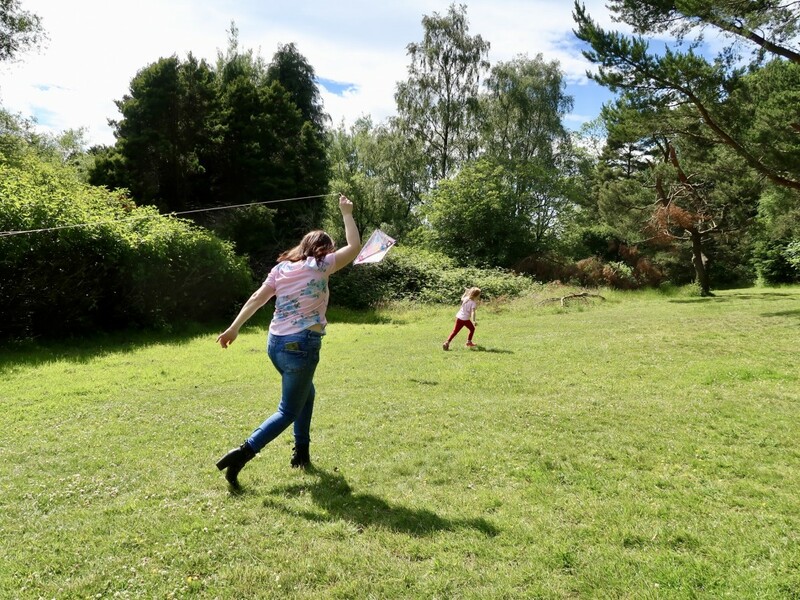 We all got kites, including me, and off we went flying the kites. We thought it would be fun. It was a sunny day, and possibly not windy enough, but off we set. We thought we’d take some Wowsomes® with us to get us in the mood. 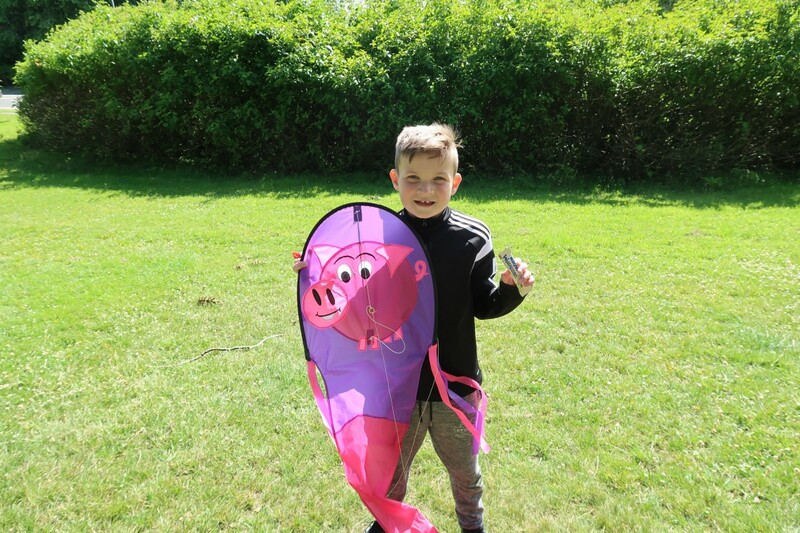 Tyler loves his pig kite. So we ran and we ran. 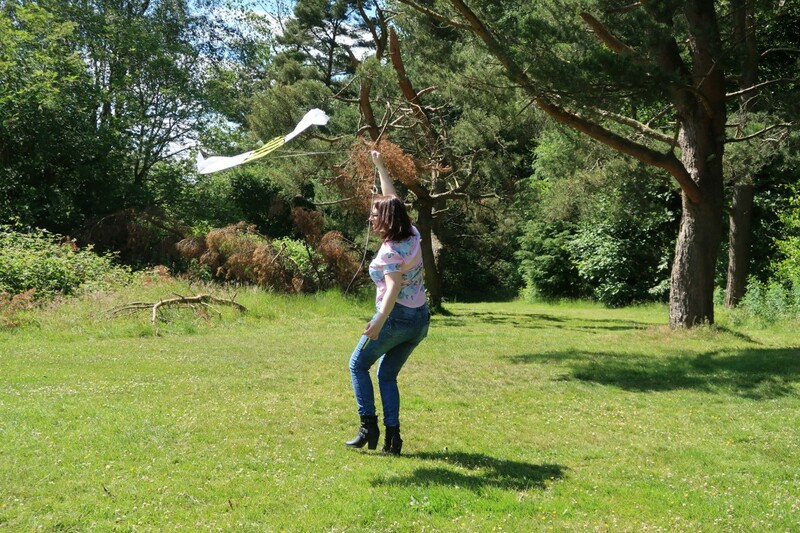 Clearly taking it very seriously, I felt just like Mary Poppins. Albeit with less of a singing voice. 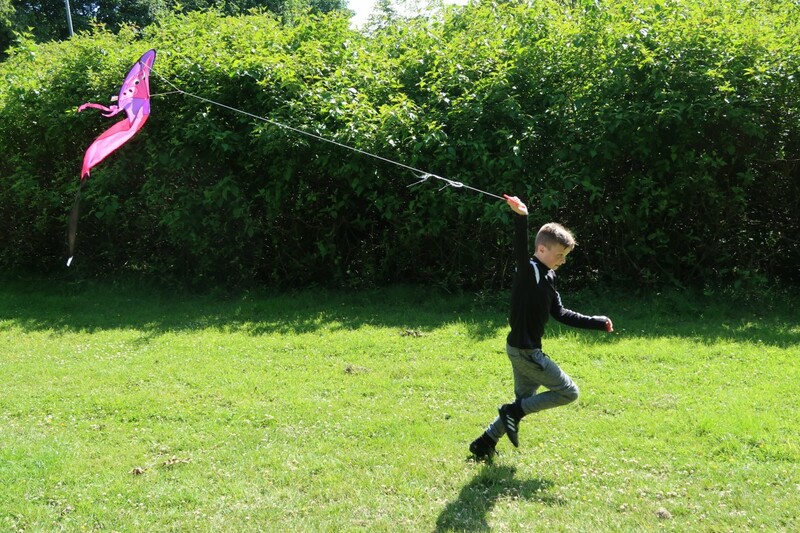 Tyler had much more luck getting his kite off the ground. We did a spot of singing while we ran around in the sunshine and had such a laugh. 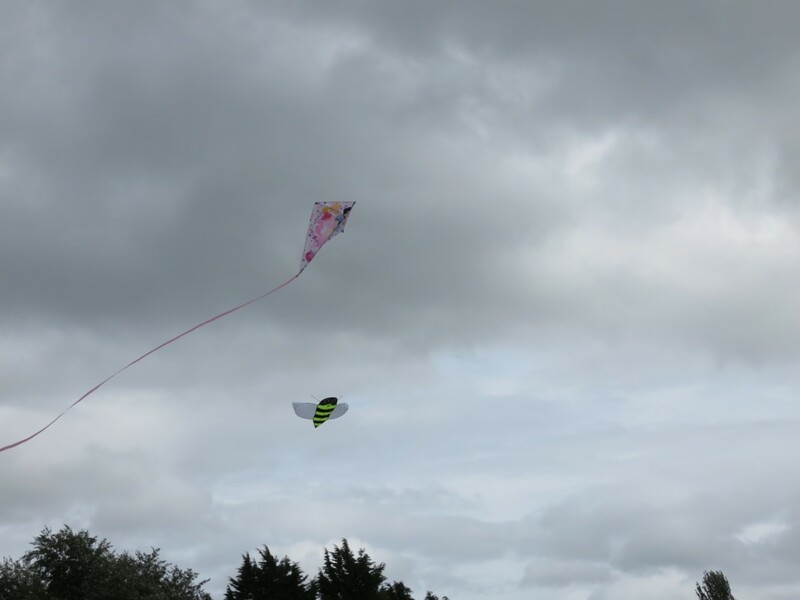 Well, the kids were laughing at me not getting the kite high enough. I think I need a bit more practice. 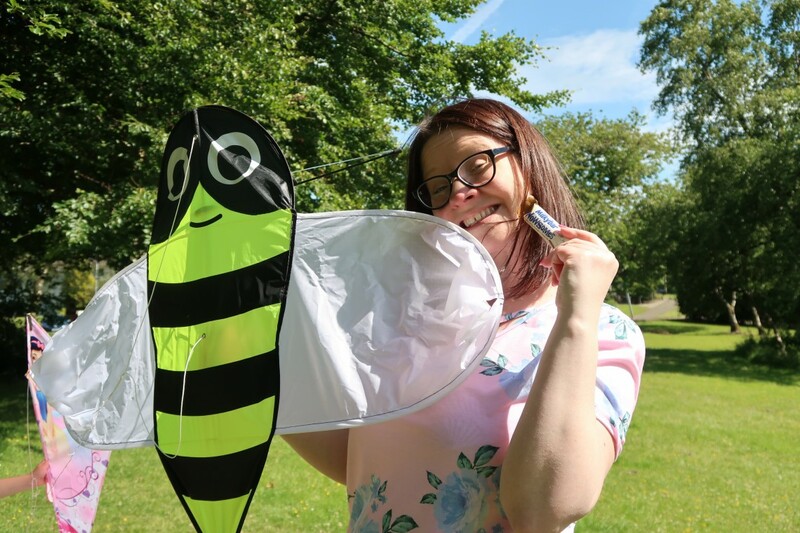 A quick break, it’s tiring work flying a kite. Not quite a spoonful of sugar, but definitely tasty and much better for us, we all had a Milkybar® Wowsomes®. Perfect for on the go snacks and as part of a balanced diet. 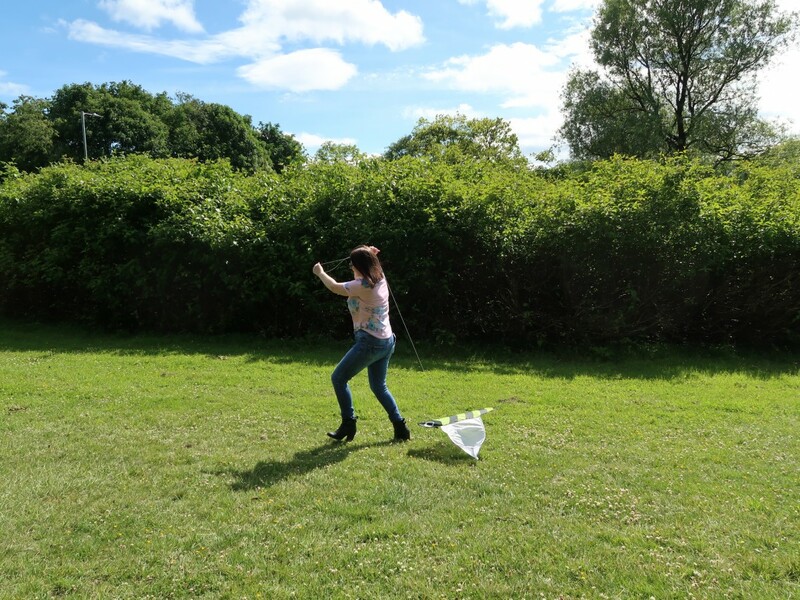 The next day….. was much windier and look? I got it to fly. Not only did we take the Why Not? challenge, we did it twice and have done it since too. 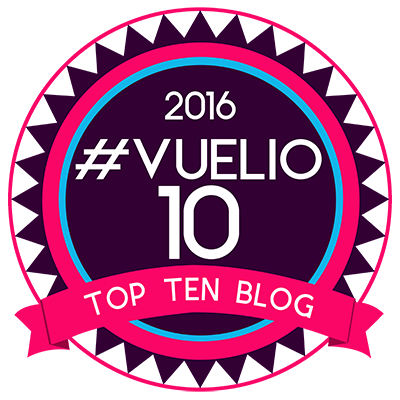 We loved it and it was perfect for spending time having fun, laughing and seeing life through the eyes of the child. 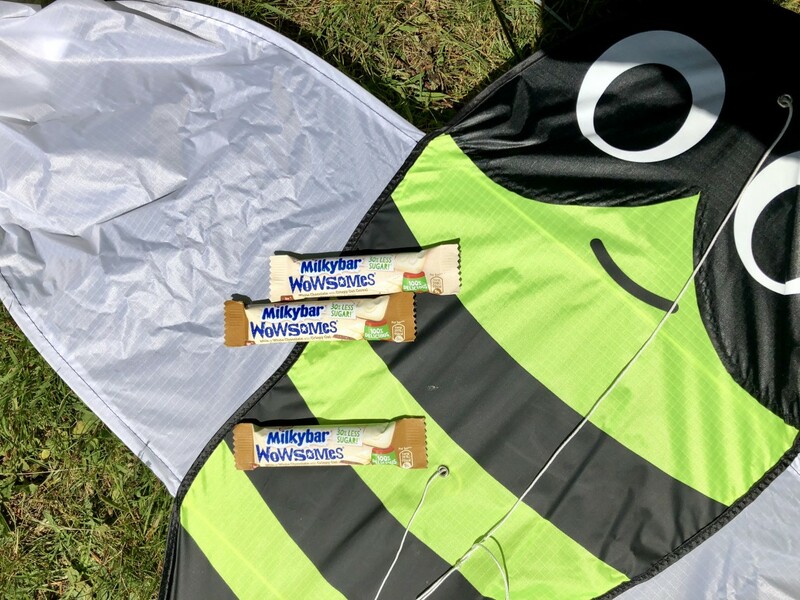 Thank you Milkybar® Wowsomes® for encouraging me to go out and have more fun with the kids, being silly and being a big kid. Why not take the challenge yourself. 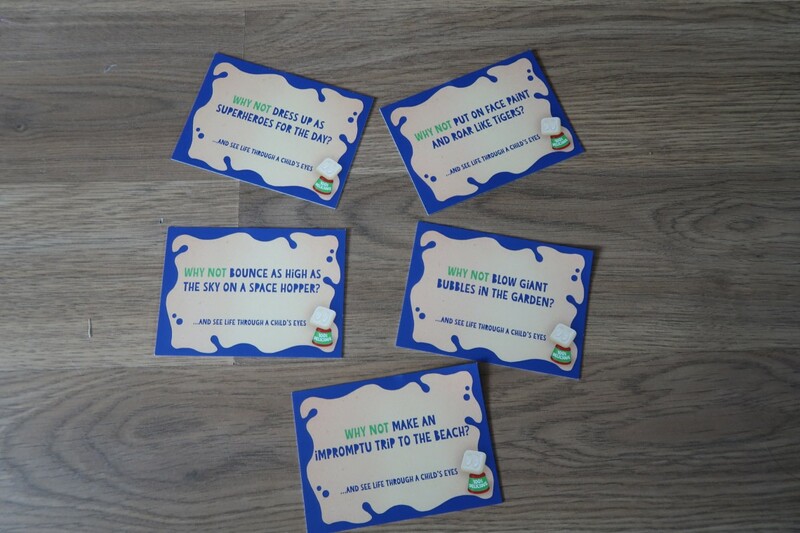 Have a look at the prompts above, pick one and go and have some fun. You won’t regret it. I know I will be doing more. Next on our list is the giant bubbles. Which one will you try? Why not try some Milkybar® Wowsomes® yourself. Tasty and fun. Don’t those little images look fab? I’d love to know if you’ve tried them and what did you think? I loved milkybars as a child and these are a great addition to the range. The perfect treat, Why Not? Disclaimer:- This post was written in collaboration with Milkybar, but all photos and words are my own.